Lagoons and ponds refer broadly to basins constructed in, or on the ground surface, using earthen dikes to retain the wastewater within which natural stabilization processes occur with the necessary oxygen coming from atmospheric diffusion, photosynthetic and/or mechanical sources. More specifically, there are facultative stabilization ponds, complete mix aerated ponds, partial mix aerated lagoons, anaerobic lagoons and various hybrids. 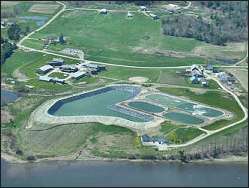 In Maine most of the lagoons and ponds are partial mix aerated lagoons and facultative stabilization ponds. This manual addresses the design, operation, and regulatory control of municipally operated partial mix aerated lagoons and stabilization ponds and is intended to be a tool for operators, engineers and regulators. For more than thirty-two years lagoons and ponds have been used in Maine to treat municipal and industrial wastewater. During that time, some of these facilities have experienced problems meeting biochemical oxygen demand (BOD5) and total suspended solids (TSS) permit requirements. More recently, it has been recognized that nitrification occurs in lagoons and that nitrification may interfere with the interpretation of BOD5 test results. In 1994, an internal Department of Environmental Protection (DEP) staff committee was formed to evaluate the performance of lagoons and ponds. The DEP staff presented its findings and recommendations at a public workshop on October 24, 1995. During that workshop, several issues were identified and workshop participants agreed that a task force should be established to resolve the issues. A task force made up of DEP staff, consulting engineers and treatment plant operators held its first meeting on December 13, 1995. The task force identified that there were problems with some of the lagoons and ponds meeting BOD, TSS and pH permit limits and agreed that it would work to produce written, experience based guidelines, recommendations and collaborative procedures for the licensing, design, and operation of aerobic facultative lagoons. The task force further agreed that the guidelines, recommendations and procedures would promote cost-effective, environmentally sound and flexible industry practices which recognize the interrelationship of user needs. The purpose of this manual is to describe the findings and outline the recommendations of the Lagoon Task Force. The manual contains six major sections that provide background information, data-analysis, design considerations, operation considerations, regulatory considerations, and a summary of conclusions and recommendations. The appendices contain a discussion of biological treatment concepts and nitrification in lagoons and ponds, a glossary of terms, inventory of facilities in Maine, facility operating data, references, resources, and a subject index. The task force believes that most lagoons and ponds in Maine can meet appropriate permit limits for the technology defined by the U.S. Environmental Protection Agency as secondary treatment or in some cases as "equivalent of secondary treatment". Variations in treatment performance are due largely to varying climatic and seasonal conditions. The task force believes that implementation of the recommendations outlined in this manual will reduce the number of violations from lagoons and ponds and improve the performance of these systems in general. This approach will require that DEP and EPA demonstrate flexibility in permitting lagoons and ponds, consulting engineers must recognize that these systems have unique design needs, and that the wastewater treatment plant operators must work to understand the changing system dynamics and optimize the performance potential given climatic and seasonal constraints. James H. Fitch, Jr., P.E. The lagoon task force met twenty times over an eighteen month period to develop its findings and recommendations. During the first meeting the group established ground rules and adopted a decision-making process. Next the group identified the needs of its users, what the "end product" should be and a process for meeting its objectives. The task force identified the end product that it will produce as: "written experience based guidelines, recommendations and collaborative procedures for the licensing, design and operation of aerobic facultative lagoons". These guidelines, recommendations and procedures will promote cost-effective, environmentally sound and flexible industry practices which recognize the interrelationship of user needs. The group identified the primary users as lagoon designers, operators and regulators. Stabilization Ponds are systems which do not have mechanical aeration. Partial Mix Aerated Lagoons are systems which have mechanical aeration but also may employ some facultative processes. Partial mix aerated systems are a transition group between stabilization ponds and complete mix lagoons with significantly different operating characteristics as you move from one end of the scale to the other. 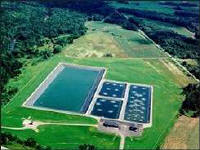 Complete Mix Aerated systems have significantly higher mixing energy and are closer to activated sludge reactors. 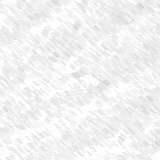 They are mixed to the extent where there are no clearly delineated zones of stratification. Because these systems are more like activated sludge plants than lagoons and have different compliance problems, they were not included in the task force review. There are no municipal treatment facilities in Maine using this type of system. The problems were identified as non-compliance with effluent standards for BOD, TSS and pH from aerated facultative lagoons. Next, the group brainstormed and categorized potential cause(s) of the problems (see the appendix). The potential causes of the compliance problems were categorized into four groups: 1) environmental factors, 2) design (flexibility), 2) mixing and aeration, and 4) operation. Following this, the task force worked on gathering data and information. The task force met with Paul Mitnik, P.E., a water quality expert with the DEP, and Dr. Michael Richard, an operational consultant, to discuss water quality and plant operation issues. The group reviewed existing permit compliance data and facility operation data. Using teams of two, the task force visited twenty-two lagoons and ponds in Maine. A survey questionnaire was used to provide consistency from one visit to another. After gathering data, the task force worked to identify the most probable causes of permit compliance problems. The causes of the problem were grouped into four categories: design, operation, regulatory and miscellaneous issues. The task force divided itself into three working sub-groups to develop design and operation recommendation and to evaluate the historic operating data to identify trends that may indicate opportunities. The task force decided that the regulatory issues should be worked on together as an entire group. The design sub-group consisted of Steve Hallowell, John Fancy and Ed Petrilak. The operation sub-group consisted of Jim Fitch, David Dodge and Gary Brooks. The data analysis sub-group consisted of Steve Murray, Don Albert and Dennis Merrill. Finally, the sub-groups worked to prepared drafts of their findings and recommendations. These were reviewed by the entire group and incorporated into this final manual. As part of the facility review, the task force examined the past effluent performance trends for most lagoon and pond facilities. This was done in two parts. The first was a statistical evaluation employing methods similar to those used by EPA in establishing technology-based effluent standards. This effort is described in the Regulatory section of this manual. The second was a review of individual facility performance in an effort to identify possible trends, both for individual facilities and for groups of facilities. In addition to effluent data, some consideration was given to evaluation and comparison of operating data and design criteria. While these factors entered into the task force's general discussions, they were not developed as a detailed data analysis. A cursory review of design criteria, operating conditions and effluent quality did not suggest any strong correlation between these factors. Facilities having similar design and actual loading characteristics sometimes had considerably different effluent performance. With all data reviews, several factors must be considered. Differences between facilities can complicate direct comparisons, and even for the same facility, seasonal changes from year-to-year can be significant. Revisions to operating strategies, equipment, influent loading, or abnormal events can all influence the performance of a facility, either on a one-time basis or as long-term trends. To provide the maximum consistency in comparison of data, only effluent concentrations for BOD and TSS were considered; these parameters have been the subject of the most concern in defining lagoon performance standards. Where available, monthly average effluent concentrations from 1989 through 1996 were considered. In some cases, shorter records were used where facility had not been in operation for the entire period or if major changes had been implemented rendering previous data not representative of current conditions. Facilities operating in a hold and release mode were considered separately for some purposes, such as determining seasonal trends and in evaluating compliance with effluent limits. The monthly average effluent concentrations were obtained from monthly discharge monitoring reports submitted by the facilities. That information was downloaded from EPA's Permit Compliance System where it is normally entered and stored, and was then organized and edited on personal computers. Two presentations of the monthly average concentrations were made, and are presented in appendix D. The first presentation is line graphs showing monthly average BOD and TSS concentrations for the entire period evaluated at each facility evaluated. The monthly average flows are also included with these data. The plots are useful in determining long-term trends in performance. In some cases, high concentrations in certain years can easily be identified, suggesting unusual performance. The other data presentation is a composite of monthly averages by month for each facility. These were compiled by averaging all of the available monthly averages for each month of the year. The resulting bar graphs in appendix D are useful in evaluating seasonal trends in BOD and TSS concentrations for each facility and for comparing these trends with other facilities. In some cases, peaks in one or two specific years tended to influence the long-term monthly averages for certain months. By comparing the line graphs showing several years of performance with the bar graphs the significance of high months could be better understood. If there is a single high peak in one year, less importance should be placed on the increased composite monthly average than one representing fairly consistent performance over several years. The bar graphs of monthly averages were compared to one another to determine what common trends might exist. Comparisons were made for all BOD concentrations as a group, all TSS concentrations as a group, and BOD and TSS concentrations for the individual facilities. As might be expected given the variables involved, no strong or universal correlations or "profiles" were identified. However, some trends and groups could be found. Because discharges do not occur year-round for hold and release facilities, this group of five facilities was not included with the other facilities. The profiles for these facilities were quite similar, showing higher effluent concentrations during the discharges in the winter into spring. Discharges in the fall generally had lower effluent concentrations. For the other facilities which discharge more or less all year, the profiles fell into several broad groups. When considering the profiles for BOD concentrations, they can be broken down into four broad groups. Four facilities tended to have higher BOD concentrations in the summer into fall months. At least two of these facilities experience significant nitrification, so higher total BOD concentrations during the warmer months are not surprising. In this group, the effluent concentrations are generally higher than those seen in other groups. Five facilities had higher BOD concentrations during the winter and spring months. Overall, these facilities had the lowest BOD concentrations. Four more facilities also presented a trend of higher spring time BOD's, although not as strong or well defined. The profiles for a final two facilities had no particular trends. The profiles for TSS concentrations were somewhat less well defined than those for BOD. At five facilities, the TSS concentrations were highest during the middle part of the year, roughly from May through September. This group had the highest effluent concentrations. Since the warm conditions and ample sun light during these months are favorable conditions for algae growth, the higher concentrations are not unexpected. However, a second group of five facilities had peak TSS concentrations earlier in the year, spring into early summer. This group generally had lower TSS concentrations, and July through September sometimes had the lowest values of all months. The profiles for another three facilities showed TSS concentrations increasing from the summer into the fall. The two remaining facilities demonstrated no defined profile. In many facilities, April and especially May proved to be the worst time of the year for TSS discharges. This coincides with observations during the Teams site visits that spring time algae blooms and turnover were reported to be common and sometimes severe. Conversely, August TSS concentrations were often low, perhaps reflecting algae die-off due to the longer detention times resulting from lower flows and evaporation during the summer. This Section deals with design considerations for all new and future upgrades of existing aerated lagoon wastewater treatment facilities. The following design issues are to be considered in addition to those standards presently established in TR- 16, Ten State Standards or any other published literature accepted by the DEP or EPA. These design considerations were established by the DEP Lagoon Task Force and based on the site visits of the task force members to each of the existing treatment facilities. The DEP and EPA should be contacted early in the process to determine treatment objectives and permit limits. The raw wastewater characteristics (BOD5, TSS, TKN, ammonia and alkalinity) and flows should be accurately defined. Infiltration / inflow allowances should be made for all new systems and upgrades. Industrial users and large commercial users must be evaluated for their impact on the system. Reaction rates can change significantly with substantial industrial or commercial wastes. Sludge may accumulate at a faster rate with certain industrial wastes. Sizing of the treatment lagoons must be directly related to the climatic conditions and not dictated by a set detention time. Develop a site specific KI reaction rate coefficient by reviewing data from nearby lagoon facilities with similar climatic conditions, primarily in the winter months. The three critical points are: 1) winter when temperatures and reaction rates are low, 2) spring turnover when benthic demand from sludge settled all winter is high, and 3) summer when temperatures and reaction rates are high. Consideration should be given to nitrification. The winter conditions normally control the lagoon volume and the second or third critical points will control aeration capacity. Volume for ice cover and sludge accumulation should be provided in the design. Avoid small trapezoidal configurations with small bottom areas which leads to unfavorable aeration and nixing zones. Recognize transitional periods of similar facilities such as spring to summer months and benthic release periods. Minimum of 10 foot depth for partial mix aerated lagoons; Multiple inlets and outlets (this minimizes short-circuiting of the wastewater and allows the wastewater to be evenly spread out across each lagoon); Provide bypass capabilities for each lagoon (this allows each lagoon to be taken out of service for periodic maintenance, process control, and discharge flexibility); Consider providing step feed in the first lagoon cell; Provide means to vary the water level in each lagoon (this may consist of a flow structure with an adjustable weir gate). This allows the detention time of each cell to be increased or decreased independently. Valves must function in any season and may require frost protection. Provide means to measure the water level in each lagoon (this allows the operator to accurately measure the water level in each lagoon and assists in the operation of the facility throughout the year). Consider multiple draw off levels for all cells and especially for the final lagoon cell (this allows for best type of effluent to be discharged to the receiving water). Consider lagoon baffles to reduce short circuiting. The selection of aerator equipment should consider the present worth and future annual operation and maintenance costs. To improve operator control, provide timers, variable frequency drives and/or D.0, monitoring to control output of aeration equipment. Dedicate space for future plant expansion. This may consist of additional treatment lagoon cells, garages, sludge or spray/snow disposal areas, or other types of treatment facilities. Evaluate means and methods for sludge removal and resultant solids handling. Provide recirculation facilities. This may consist of portable or permanent pumping facilities and allows for the effluent to be recirculated from one cell to another cell in order to assist in the treatment of wastewater. Provide electrical service entrance capability and expansion space in the motor control center and aeration systems for easy expansion of the facility beyond the anticipated ultimate design loads. Review existing wastewater collection and pumping stations and upgrade as needed. Provide influent and effluent monitoring stations. Provide pretreatment facilities that consist of influent monitoring, mechanical screening, grit removal and influent sampling. Provide for grit and screenings removal and resultant solids handling. Provide adequate space for the storage of equipment, such as, safety, spare parts, laboratory, office furniture and supplies, plans, records and files. Provide adequate garage space for the storage of equipment, such as trucks, portable trash pumps, emergency generators, tractors or other utility vehicles. Provide adequate work bench space. Provide adequate laboratory bench space. Provide additional storage capabilities for treated effluent during periods of low stream flows or poor effluent quality. Provide additional treatment facilities such as polishing ponds, filters, sand filter beds or artificial wetlands to help achieve low effluent BOD, TSS, algae, ammonia and phosphorus levels when required by the discharge license limits. Provide a 24 hour recording stream gauging station to prorate the discharge of treated effluent to the receiving body. Provide 24 hour recording of influent flow, effluent flow, lagoon dissolved oxygen and effluent pH levels. The recording of data would be assisted by the use of a computer system. Consider the purchase of a small portable dredge in larger facilities. The Lagoon Task Force has evaluated operating systems and found that effluent violations can occur for a number of reasons, including: BOD, TSS, pH, algae, partial nitrification (leading to nitrification in the BOD bottle), inflow and infiltration and other problems. It appears that causes of these violations include partial nitrification, benthal release, algae, winter cold, detention time, storage capacity, lack of knowledge of the dynamics of the processes at work, and recycling of BOD. Operator's experience with these issues indicates that the following assessments and control strategies have improved performance in some facilities and may limit effluent violations. Inflow and infiltration (I/I) is extraneous, nearly clean water that enters wastewater collection systems directly from rainfall events, snow melt, drainage of wet land areas and from ground water. The common modes of entry are by roof drains, storm water drains, leaky collection system manholes, foundation drains, sump pumps and directly from the ground via leaky wastewater collection system piping. Although the water is relatively clean, the excess volume it creates contributes to sewer collection system overflows, bypasses and hydraulic related treatment problems at the wastewater treatment facility. The impact of I / I on lagoons is somewhat different than the effect it can have on traditional activated sludge plants. Because the volume and detention times are so much greater in lagoons and because there is usually not anything equivalent to a suspended MLSS, except for in complete mix types of lagoons, high flows do not commonly cause washouts of treatment type solids directly to the receiving water. In the task force's survey of lagoon operators, few of them identified I/I as the primary cause of effluent violations, however some of them said it contributed to treatment problems indirectly by affecting process control, detention times, storage capacity and the ability to control hold and release periods. I / I is the primary cause of flows that exceed the hydraulic design limits of lagoons in Maine. In this relatively rural state where population and industrial growth is slow, few communities have actually outgrown their lagoon systems. On the other hand, it is a region of heavy rain and snow fall, high water tables and is prone to high seasonal runoff periods. In addition, many collection systems are old and relatively extensive in comparison to the population served. Few lagoons in Maine have combined sewers, so most I/I is attributed to sewer line infiltration, manhole leaks, and roof, foundation and cellar drains. 1. Detention time. Excess flows reduce the time wastewater can be treated within the system. If it reduces the detention significantly or occurs during cold weather periods when treatment activity is low, it can especially impact BOD removal. 2. Seasonal impacts. Often I/I is worse at certain times of the year, especially during the spring and in late fall. At these times, the wastewater in the lagoons is colder and biological processes are slower. Mgh flows reduce the time for treatment just when more treatment is needed. Although this was not commonly reported in our survey as a major problem, seasonal increases in influent flow and changes in its nature may affect the established process for awhile. Lagoons have periodic seasonal benthic release and pond turnover periods which usually take place in the spring and fall. Excess flows during these periods can result in pass through of excess wastes and nutrients to downstream units and can impact the final discharge. 3. Short circuiting. Although short circuiting was not identified as a common problem by operators during our survey, it was recognized as an important factor at a few facilities. Obviously, if a lagoon system is prone to short-circuiting, high flows will exacerbate this condition. Often short circuiting is associated with temperature stratification within the lagoons, especially in cold weather. In these circumstances, high influent flows of a higher temperature can flow across the top layer of the lagoon above the colder, deeper, heavier layers thus receiving only partial treatment in the passing. At times influent waters can be warmer than the deeper lagoon layers due to changes in the seasons, heated sources of water from industries, homes and businesses and due to the lagoon cooling affects of mixing and aeration during colder ambient air conditions. 4. Stratification disruption. Many lagoons are designed to stratify into zones of aerobic and anaerobic treatment. Aerobic decomposition takes place in the top layer where there is sufficient oxygen and anaerobic decomposition takes place in the lower water and sludge layers where oxygen is lacking. There is an interchange between the layers through settling and benthic release. This relationship allows extended treatment through aerobic, anaerobic and facultative processes. Excessive flows, especially of a different temperature, can disrupt this stratification, causing partial treatment. Colder, more dense influent flows can disrupt the bottom anaerobic treatment layer while warmer ones can skim across the top inhibiting zonal treatment interchanges. 5. Storage. Obviously, excessive flows restrict storage options. 6. Process control. The biggest impact of excessive flows reported by operators in our survey was its affect on their process control options. Many operators actively operate their lagoon systems by controlling detention times, lagoon levels, individual cell loadings and through step feeding. Some operators put individual lagoon cells on or off line, store seasonally, operate to promote Daphnia, store during poor water quality periods, manage lagoon loading and holding times to control algae growth and algae die off, etc. Excessive flows can disrupt these treatment strategies by using up the extra capacity needed to make them possible. For example, controlling detention times and individual cell loadings can be impossible under high flow conditions. Lagoons licensed only for seasonal discharges can run out of storage and be forced to discharge during unlicensed periods or when effluent quality limits are not being met. 7. As in other types of systems, I/I can impact headwork's performance, contribute to grit build- up within the system, cause excessive pumping, increased wear of equipment, bypasses etc. As with all treatment systems, removal of excessive I/I in the collection system is the most effective control method. However, certain types of I/I removal can be very expensive. Immediate replacement of leaky sewer lines is beyond the economic capability of many communities. A long term upgrade and replacement program needs to be developed to meet these long term needs. At the least, it is important to get such a program started just to prevent the existing problem from worsening. Some extraneous water can be eliminated more quickly and economically. Roof drains, leaky manholes and cellar drains and sump pumps can be removed in a short period of time through an aggressive local removal program, by providing alternate discharge options and by more vigorous implementation of existing local codes. Inflow protectors can be installed under leaky manhole covers. Tight controls on new sewer line construction and on new service connections can prevent the addition of more I/I and eliminate it in replacement projects. 1. Draw down during low flow periods in anticipation of seasonal high flows. Some facilities lower levels in anticipation of the springtime surge. 2. Determine if short-circuiting is a significant problem. This can be done through dye studies, conducting vertical temperature profiles, observing flow patterns, measuring sludge deposit patterns and by reviewing the hydraulic design of the facility (length to width ratio, depth, etc.). If short-circuiting is found to be a significant problem, evaluate the inlet and outlet configurations of the system. Upgrade baffling arrangements if necessary. Consider redirecting flows with aerators and/or mixers. Remove lagoon deposits that may be misdirecting flows. Experiment with running cells in different flow schemes that might overcome inadequacies in design, such as, splitting flows to individual units differently, varying lagoon feed and draw off levels, altering individual cell operating levels, etc. 3. Increasing or decreasing mixing may have some impact on short-circuiting. 4. The use of curtains within some lagoons has helped in handling high flows and in reducing short-circuiting. 5. Periodic measurement and removal of bottom deposits of grit, sludge etc. as necessary, especially near inlet structures, helps to preserve lagoon volume and prevent short-circuiting by removing obstructions that may shunt flows in undesirable directions and/or by recreating proper operating depths. 6. If the system has these options, put more cells on line or split flows differently during high flow periods. 7. Observe, track and record the hydraulic characteristics of a specific facility so that high flow problems can be anticipated in the future and preventative actions taken. 8. Develop a written high flow response plan and revise it as necessary. Many lagoon systems have effluent and operational problems caused by excessive TSS within their systems. Unlike the TSS problems that often occur at activated sludge plants, the source of the TSS in lagoons is usually not caused by a loss of MLSS or a direct pass through of other forms of partially treated wastewater solids. In most cases, the TSS in lagoons is in the form of algae or, less frequently, in the form of Daphnia. Additional TSS in effluents can derive from rising sludge deposits, pond turnover situations or in short-circuiting. However, these sources have rarely been reported to be the major causes of TSS violations in Maine. Although some oxygen is obtained through the interface between air and water, most kinds of lagoons, especially aerobic, facultative and partially mixed ones, depend on algae to produce a portion of the oxygen used by the bacteria and other microorganisms in breaking down (treating) the wastewater. Even though algae is a vital component of these kinds of lagoons and needs to be promoted within the system, in excess it can cause significant effluent compliance problems and once in the receiving water it can exert a D.O. demand through respiration and the process of decay. Receiving waters are especially sensitive to this during June through September when temperatures are high and water levels can be low. Algae proliferates in lagoons because of the ample supply of nutrients provided by the influent wastewater stream and the good conditions of light. Because lagoons are relatively shallow with a large surface area and the water in them is relatively clear, sunlight gets good penetration. Most algae get their energy for growth from sunlight through the action of the chlorophyll that exists within its cells. Chlorophyll is green. This is why the intensity of the green color that occurs in lagoons (as well as in lakes) is usually a good indicator of the amount of algae that exists within these system. Large populations of algae, often accompanied by an intense green color are called "algae blooms". Because the light is more intense in the spring, summer and early fall and temperatures are more amenable, most blooms occur at this time of year. Often a good supply of nutrients for algae occurs during the spring and summer benthic release periods. Although, blooms are not common in the winter, some lagoons in Maine have been known to bloom profusely under the ice in late winter and early spring. In the daytime, when algae is utilizing light, it produces and releases oxygen. Dissolved oxygen in lagoons can rise to very high levels during this period, often exceeding 10 mg/l or more. Because algae utilize dissolved C02 in photosynthesis (C02 is a factor in the acid level in the water), the pH of the water can reach high levels of 10 or more. At night, however, the process is reversed. Then algae use oxygen during respiration and release C02 instead. This can deplete the supply of oxygen in the lagoon and may lower the pH if the alkalinity is low. Because of these differences between day and night, algae can produce dramatic diurnal effects on the D.O. levels in lagoons. Also, the decay of dead algae within the lagoon system uses up some measure of D.O. Overall though, algae are thought to produce more oxygen in lagoons than they use. There are many types of algae and not all of them are green. Some are shade tolerant, some are single celled and others form long filaments. Blue green algae can be particularly noxious when it blooms and can form large slimy mats of decaying algae after it dies. Despite the many differences in algae, most of them contribute to the operation and the problems associated with TSS in lagoons in much the same way. 2. Depletion of oxygen levels at night. Unfortunately, there is a common misconception among some operators that lagoons are mostly uncontrollable treatment systems that do what they do. The results of our survey revealed that some of our lagoons systems are not being actively operated. On the other hand, there are also a significant number of lagoons that are being actively managed in an attempt to maximize treatment. The operators of these lagoons report that they do have some control over their systems and have some success in controlling the levels of algae. Although algae is a fundamental and natural part of the proper operation of lagoons, in many systems it does reach problem levels and can cause effluent violations. Before any control action for algae is considered , its potential affect on other parameters needs to be evaluated first. For example, reducing detention time to prevent algae from developing to excessive levels in the first place, may have a negative affect on BOD removal. 1. Controlling the loading rate within the system to prevent excessive algae growth or to control the type of algae that does grow. It was reported at a few facilities during our survey that certain types of algae prefer certain loading rates, hence the type and the amount could be controlled by manipulating the loading. Although the literature on lagoon operation should be checked for guidance on this option, just what loading rate affects which algae is probably somewhat facility specific and may have to be determined experimentally on site. The loading can be increased or decreased to specific cells. This control procedure was attempted at these facilities through step feeding, bypassing certain cells or adjusting individual cell levels. 2. Controlling the detention time within the system or within specific units. This is related to the above action. Decreasing detention time can prevent excess algae from developing in the first place while increasing it can let it complete its life cycle and die away before it adversely affects the discharge. This is usually accomplished by controlling the level of lagoons, putting or taking cells off line, and by discharging at varying rates to create or reduce detention times. Some operators have been able to control algae by recycling effluent with either designed recycle pumps or portable pumps. 3. Hold and release. Those lagoons which have adequate storage capacity, can monitor the effluent quality and then hold wastewater as necessary until the effluent TSS has improved. Other facilities can create short periods of holding time by discharging at higher rates previous to anticipated algae blooms, then holding until die off or until Daphnia reduces the algae/TSS level. Creating holding times of as little as seven days has been reported to be effective in algae/TSS control. The TSS levels in the effluent or in the individual cells can be monitored to determine hold or release times. Experience in operation and close observation can allow operators to predict when algae blooms usually occur so they can anticipate when such actions may be necessary. 4. Utilize Daphnia to consume excess algae. Some operators maintain a culture of Daphnia and add it at critical algae levels. It occurs naturally at sufficient levels at some facilities. Some operators distribute this natural Daphnia from one cell to another manually, by pumping or by recycling effluent. 5. Selecting which cell to discharge from. Often one unit, even an upstream one, may have a better TSS level than the final, traditional discharge point. If pumping to achieve this is not part of the design, a portable pump can be used. 6. Varying the vertical level of the discharge draw off to draw from the zone of best water. This can be used to improve the discharge directly or to contain algae within certain units. 7. Shade. Although, there were no reports of success in actively culturing duckweed for this purpose, duckweed cover was reported to naturally shade out excessive algae at some facilities. Although using artificial covers to create shade has been reported to be of success in some other states, the only trial in Maine was ineffective. There may be some potential in the use of shade to control algae in Maine if an inexpensive and practical way can be found to do it. 8. Observation and records. Observing a particular lagoon system over time and recording the dates and other details regarding algae blooms and related phenomena may enable operators to take measures to control algae levels and TSS before they become a problem. For example, some operators have determined when algae typically becomes a problem at their facility and release water ahead of time to create holding or detention time in anticipation of the event. 9. An effective process control monitoring system can identify developing algae and TSS problems before they occur. Tracking TSS , algae, Daphnia, D.O., pH and other trends in the discharge and within the system in graphic form can alert operators ahead of time to developing problems. A n-microscope examination should be used on a regular basis to identify the types and amounts of algae. 10. Odors caused by decaying algae are best controlled by preventing excess algae from growing in the first place. In some cases, increased mixing and outboard motor boats have been used to break up floating algae mats. 11. Dr. Michael Richard believes that if C02 levels are controlled through the consumption of alkalinity in nitrification without the denitrification step to recover alkalinity then algae will not bloom. In this case, the C02 available for algae growth is limited to that which can be transferred from the air. However, this operational scheme may cause a pH problem. This operational strategy was not observed during our lagoon survey. The only other reported significant cause of TSS violations in lagoons in Maine were attributed to the discharge of excessive levels of Daphnia. In most cases, however, Daphnia was reported to reduce TSS by controlling algae. Daphnia populations usually increase in response to the algae. Because algae is one of its primary food sources, it usually increases in numbers after the algae has already started to bloom. In some cases, the Daphnia increases quickly enough to limit the amount of algae before it causes TSS effluent violations. In others, it is credited with reducing the magnitude of the TSS violations that do occur. In a few cases, the Daphnia itself becomes so numerous in response to algae populations that it becomes the major constituent of the TSS in the effluent. These violations are caused by its discharge in living and dead forms. Excess Daphnia in effluents and in the BOD test bottle can also contribute to BOD demand by using oxygen through respiration or in decomposition. Usually, the level of Daphnia is encouraged in lagoons rather than controlled. However, high nitrite levels can work against promoting the growth of Daphnia because it is toxic to them. Also, they may be prevalent in the spring time, but become low in numbers by mid summer when high numbers are expected. Many operators seed and promote it for algae control. However, if the control of Daphnia levels does become necessary, it is best done indirectly by controlling the amount of algae. Because an excess of Daphnia is caused by an excess of algae, some of those actions listed above for controlling algae will also be effective in controlling Daphnia. BOD violations have been noted in operating facilities in all seasons and stem from a number of causes. Some of these violations may not be real, stemming from improper sample collection techniques or from improper testing procedure, or other operational factors. A number of biochemical processes are at work in lagoon systems that can increase the likelihood of effluent violations. These can be influenced by; high strength wastes, partial nitrification, benthal release of high BOD materials and shifting or recycling BOD in the form of algae, daphnia, duckweed or other organisms. Recognition of these factors with monitoring and control (to the extent possible) can assist the operator in managing their lagoon facility to limit adverse impacts of these processes. The addition of septage and trucked wastes to lagoon systems can exert a significant load on the process. These wastes, by their nature, are extremely high in BOD and TSS. The BOD load can cause localized depression of the dissolved oxygen and the inability of the system to assimilate the load unless significant aeration is available and a long detention time is provided. The TSS load increases the rate of sludge accumulation and leads to benthal BOD releases (discussed below) that can cause significant operating problems. Lagoon systems should not accept this waste without recognizing the possible impacts and developing the monitoring program necessary to track these systems, implementing the appropriate pretreatment program or addition system and without initiating the appropriate action when critical levels are approached. Nitrification is a biological process involving a unique group of organisms that oxidize ammonia to nitrite and then to nitrate, creating new generations of organisms in the process. This occurrence is normally restricted because the predominate organisms in treatment processes utilize organic material as a food source and are effective competitors for the oxygen necessary for assimilation of food and reproduction (this competition restricts the growth potential of the nitrifying organisms). But, once the majority of the organic material is utilized, this competition is reduced and the nitrification process can occur with less restrictions. So what's the problem, you might ask? True, nitrification can be seen as an indication that the assimilation of organic material has proceeded to the desired extent, but the nitrification reaction uses oxygen and can inadvertently be measured as BOD in the test procedure if nitrification takes place during the incubation period (the wastewater added to the BOD bottle contains nitrifying organisms and therefore a "seed"). In reality the facilities that are exhibiting nitrification during their BOD tests are treating the wastewater to a higher degree than facilities that don't (unless, of course the facility completely nitrifies during the course of treatment and no nitrogenous demand remains). The nitrification process also consumes alkalinity and can upset the pH balance within lagoons causing violations. In the absence of oxygen, facultative organisms can use the oxygen taken up during the nitrification process (now in the nitrate form) for their own growth. They release gaseous nitrogen, add alkalinity and produce new cells as byproducts of this reaction. This process, known as denitrification, occurs in an anoxic environment (low dissolved oxygen) and require a source of carbon (organic material or BOD) to proceed. You can often observe very small bubbles rising to the surface when denitrification is taking place. It resembles mist or light rain on the surface of the lagoon. If this reaction is occurring you know that nitrification is occurring in your system and that, in some locations, conditions are ideal for denitrification. Both of these reactions are temperature dependent, with increased activity at higher temperatures. Therefore, lagoons can cycle in and out of nitrification and denitrification seasonally. This can cause apparent violations of discharge parameters and other operating problems. First, let's discuss nitrification. As noted above, it is a two part process, with the first step converting ammonia to nitrite and the second step converting nitrite to nitrate. The importance of this is that nitrite can interfere with chlorine based disinfection processes, causing ineffective disinfection at normal doses. Operators should recognize that they may experience seasonal nitrite increases that require an increased chlorine dose to achieve an effective kill, and either monitor the nitrite level or the effectiveness of their chlorination process as a control methodology. The two step nitrification process also uses a lot of oxygen and alkalinity. For each gram of ammonia converted, 4.33 grams of oxygen are used and 7.14 grams of alkalinity are consumed. This oxygen utilization increases electrical costs and the alkalinity consumption can lead to effluent pH violations in wastewaters with low alkalinity. Operators have tried to increase the organic load at their facilities to limit the ability of the nitrification reaction to occur with mixed success. Others have increased the detention time and the aeration rate during the warmer months to attempt complete nitrification. If the flexibility is available both techniques can reduce the operational problems associated with these processes. Increasing the organic load by reducing the detention time will reduce the system operating cost and improve control, but if the flexibility is not available and the monitoring is not in place to track the system performance, effluent violations can result. The second control philosophy can be an energy intensive process because, as you increase the detention time and increase the aeration rate to complete the nitrification reaction, you may increase your energy costs significantly. A number of techniques have been used by operators to minimize the impact of this load and are described in the following paragraphs. Control Depth of Bottom Layer. The State of Vermont has evaluated the impacts of sludge layers and recommend that operators develop a monitoring program to track the build up of this layer. They recommend that this program provide complete coverage of the lagoon bottom, recognize that blanket depth may vary with time of year (therefore be consistent in the program and compare readings at similar times of year to gauge growth of the blanket), and they caution that a compacted layer may be difficult to measure accurately. Their experience shows that some sludge layers will plug a sludge judge and that to get an accurate measurement you must include the difference between the water level in the sludge judge and the lagoon surface (in penetrating this solid layer you can plug the judge and push the underlying material out of the way and this depth is represented by the water surface differential). When the sludge depth reaches 10 inches they recommend removal of the material to limit adverse impacts to the system's operation. A yearly budget allocation is recommended to build a reserve account for this activity, as it can be very expensive. Limit the Solids Load on the System. Another technique is to limit the TSS load to the facility by eliminating trucked waste and septage additions to your system and by requiring pretreatment of wastes from users with high BOD or TSS loadings. Increase Detention Time in the Spring. Some operators manage the release from their systems so that the storage potential is maximized at the time of spring flow. This is often done to capture the high spring flows caused by I/I but, also creates the opportunity to store and treat this higher strength waste for a longer period. Increase Aeration Rate in the Spring. Some operators turn on additional aerators or blowers in the spring of the year to provide additional dissolved oxygen to increase the biological activity during high load period. Algae, Daphnia and duckweed growth in lagoon systems can cause operating problems, and in some cases, can offer operational advantages. These are discussed in more detail in other sections of this manual. This segment will discuss the operational impacts of the death and recycling of these organisms. When adverse conditions are present in a system, these organisms will die and the remaining material may fracture or lyse, releasing the cell contents to the wastestrearn as BOD. The heavy material will settle to the bottom. Often, these cells do not lyse and simply settle and accumulate on the bottom. In this way they become a sludge deposit that undergoes decomposition and causes the concerns outlined in the previous paragraphs. A few aspects of this process are worthy of note. First, these organisms are predominantly in the second, third or subsequent lagoons (because the are able to develop only after the competing microorganisms have reduced the BOD available and died off), while TSS removal occurs largely in the first lagoon. The importance of this is the understanding that there are mechanisms at work that develop solids layers in subsequent lagoons, causing the need to measure and track the development of this layer. Second, the final lagoons in a system often have less installed aeration potential. Therefore, if a significant benthal load is released in these lagoons, they are not as able to manage that impact without a violation. Finally, algae obtain the carbon necessary for growth from the atmosphere through a fixation process. In this fashion they are adding BOD to the treatment system. However, they also produce oxygen to satisfy some of their demand, so we need to recognize that facilities that exhibit algal growth may be achieving excellent BOD removal and treatment of the wastewaters. Operators that live and work in Maine have to contend with and prepare for the different seasons. Operators of lagoon systems must change the operation of the system along with the changing seasons. Lagoon systems perform differently during summer months than winter months, plus, changes take place during the spring and fall. From conversations with operators during the site visits, the Lagoon Task Force found that the difference from one season to another is part of the challenge for lagoon operators. The rate of biological metabolism is influenced by a number of factors and one that causes a significant impact is temperature. During the colder months there will be less biological activity and so treatment of the wastewater will be reduced. One technique to minimize the impact of this phenomenon is to fill the ponds to maximum depth to take full advantage of available space and maximize detention time. Because colder water dissolves more oxygen and biological activity is reduced, less aeration is needed at colder temperatures. Algae and daphnia (a very small crustacean, also known as a water flea) are a common cause for TSS violations at a lagoon system and they both occur during warm weather. When the water warms up, the algae start growing. Usually after there is an algae bloom, the daphnia will start to show. Sometimes there will be so many daphnia, the water or side of the lagoon will turn a reddish color. The daphnia will consume the algae and once the algae is gone most of the daphnia will die off. In early spring, some operators will scrape the sides of the liner, or pick some rocks from the side of the lagoon. They will then bring this to the building and place it in a bucket, or aquarium with an air pump to start daphnia growing before the algae bloom starts. Then when the water warms up and the algae starts to grow, the operator will seed the pond with the daphnia to eat the algae before the algae becomes a problem. Some operators have had some success with the use of daphnia, others have not. There are many things an operator can try to produce a good effluent, usually the operator will need to do several things at a time to produce a good effluent. See the section on TSS and BOD for more information. Nitrification occurs during the summer season and into early fall. Nitrification starts when the water temperature in the ponds reaches 12 to 15'C. It usually starts in the first pond and can be tracked to the other ponds. Nitrification happens when ammonia nitrogen is convened to nitrite by Nitrosomonas bacteria and nitrite is convened to nitrate by Nitrobacter bacteria. An operator can track the nitrification process by doing the BOD5 and CBOD5 tests, ammonia, nitrite, nitrate and alkalinity on each pond effluent. If nitrification is occurring, the D.O. and pH levels drop, BOD5 test results may be elevated and if nitrification is not completed, a considerable increase in chlorine demand will occur. The operators should check the effluent nitrite levels if the chlorine demand keeps increasing. Partial nitrification and high nitrite will increase the demand. The operator should also test alkalinity, ammonia nitrogen, nitrite and nitrate on each pond effluent to see how they change and how nitrification moves through your system. As nitrification takes place, alkalinity is used and the pH will drop. See the section on BOD for more information on nitrification. Rising sludge usually happens during spring turnover when the water temperature warms up, clumps of sludge will rise to the surface. Rising sludge usually happens in the first pond, as this is where most of the sludge is typically concentrated. Add aeration if possible for mixing and for extra D.O..
Benthal release occurs during the spring, as the water temperature warms up. During the winter months when the temperatures are low, there is little biological activity taking place in the lagoon, including the sludge layer. When the water temperature warms up in the spring, biological activity increases in both the water column and in the sludge layer. This increase in activity creates a high oxygen demand. At this time you want to keep a close eye on D.O. 's and have available aeration in place so as to maintain a D.O. of around 2.0 mg/L in the early morning. With a well designed, well operated system, odors should not be a problem. However, some odors may occur during the spring, when temperatures start warming up and biological activity increases. If odors become a problem in the spring, check D.O.s and add aeration and mixing if possible. Duckweed can also cause odors, but normally they are not strong enough to cause a problem. Other causes for odors can also occur if your influent is pumped to the plant and the influent sits in a wet well, or force main for long periods between pumping. To correct an odor problem you first need to identify the source. It is very important that any treatment system, set up and maintain a monitoring program. Over time, as the operator becomes familiar with the system, he or she will be able to use the program to anticipate changes in the system and take timely action to minimize their impact. The following is a suggested monitoring plan. It includes both permit compliance monitoring and operational monitoring. The following table lists recommended monitoring considerations to monitor and evaluate lagoon performance. These recommendations should be used in conjunction with normal operating schedules and licensing requirements for effluent monitoring. In addition to the routine monitoring suggested above, the operator should measure the sludge depth in each lagoon, percent solids and percent volatile solids of the sludge in early spring and fall. Air patterns should be observed daily. The pressure gauges on the air blowers should be read and recorded daily. Data from individual tests can be graphically displayed on trend charts so that the process status can be seen at a glance. 1. Water quality standards. Permit limits based on water quality standards are evaluated on a case-by-case basis to assure that a discharge does not cause or contribute to water quality standard violations. Where water quality concerns are present, limits must be set to protect all uses and criteria of the receiving water. 2. Technology based limits. These apply to all facilities and establish the minimum standards. For POTWs they are set forth in 40 CFR Part 133. The 1987 amendments to the CWA allow alternate limits for treatment for waste stabilization ponds, trickling filters, and others referred to as "equivalent to secondary treatment". Those limits are also described in 40 CFR Part 133. The permit writer is given some latitude to apply these alternate limits on a case-by-case or alternative State requirements that conform to the BOD5 and TSS consistently achievable through proper operation and maintenance by the median (50th percentile) facility in a representative sample. The legislative history for secondary treatment recognizes that certain biological treatment processes such as trickling filters and oxidation ponds, lagoons and ditches are effective in achieving significant reductions in BOD and TSS, when properly designed. For the most part, these treatment methods, are easier to operate, and are particularly useful in smaller communities. Trickling filters and waste stabilization ponds have long been regarded as appropriate secondary processes for municipal wastewater. Nevertheless, POTWs that use these treatment processes may not consistently meet the current requirements for secondary treatment, due largely to varying geographical/climatic and seasonal conditions. Thus, the language of the Act and the legislative history explicitly allow the use of certain biological treatment facilities to meet secondary treatment requirements, regardless of their capability to consistently provide for 85 percent removal or 30 mg[L of BOD5 and TSS on a 30- day average. The current federal regulation describes the minimum level of effluent quality attainable by facilities eligible for treatment equivalent to secondary treatment in terms of the parameters - BOD, TSS and pH. The 30-day average BOD5 and TSS shall not exceed 45 mg/L. The 7-day average BOD5 and TSS shall not exceed 65 mg/L. The 30-day average percent removal shall not be less than 65 percent. The effluent values for pH shall be maintained within the limits of 6.0 to 9.0. Where data are available to establish CBOD limitations for a treatment works, the permitting authority may substitute the parameter CBOD5 for the BOD5, on a case-by-case basis provided that the levels of CBOD5 are not less than the following: i) The 30-day average shall not exceed 40 mg/L, ii) The 7-day average shall not exceed 60 mg/L, iii) The 30-day average percent removal shall not be less than 65 percent. Alternative state requirements may be authorized after notice and opportunity for public comment and subject to EPA approval. Alternative requirements shall conform to the BOD5 and TSS effluent concentration consistently achievable through proper operation and maintenance by the median (50th percentile) facility in a representative sample of facilities within a State or contiguous geographical area that meet the definition of facilities eligible for treatment equivalent to secondary treatment. Where data are available, the parameter CBOD5 may be used for effluent quality limitations. Where concurrent BOD effluent data are available, they must be submitted with the CBOD data as part of the approval process. Permit adjustments shall require, more stringent limitations when adjusting permits if. 1) For existing facilities the permitting authority determines that the 30-day average and 7-day average BOD5 and TSS effluent values that could be achievable through proper operation and maintenance of the treatment works, based on an analysis of the past performance of the treatment works, would enable the treatment works to achieve more stringent limitations, or 2) For new facilities, the permitting authority determines that the 30-day average and 7-day average BOD5 and TSS effluent values that could be achievable through proper operation and maintenance of the treatment works, considering the design capability of the treatment process and geographical and climatic conditions, would enable the treatment works to achieve more stringent limitations. Consistent with the Federal program, the Lagoon Task Force carried out an analysis of treatment process capabilities and plant performance for lagoons and ponds that are described below. Lagoons and ponds are considered to be basins within which natural stabilization processes occur with the necessary oxygen coming from atmospheric diffusion, photosynthetic and/or mechanical sources. An empirical approach using data from existing facilities was used to assess the effects of climatic and seasonal variation on process capabilities for lagoons and ponds in Maine. In selecting the sample of facilities for the plant performance analyses, consideration was given to assure that the treatment capabilities of the selected POTWs were representative of the true treatment capabilities of lagoons and ponds in Maine. Facilities were included in the sample if it was determined that the facility design, operation and maintenance conformed to generally accepted principles of engineering and standard practice. Additionally, facilities were excluded where exceptional performance resulted from augmentation of the basic unit process by "add-on" processes which go beyond secondary treatment. The data for each POTW in the sample include monthly average values for effluent quality. This approach is consistent with the Federal regulatory requirements. In order to determine treatment capabilities of lagoons and ponds, the task force assumed that the value should reflect an effluent quality that is attainable by median of POTWs using that process. The following plant performance data from the sample of well-designed, operated, and maintained lagoons and ponds represent interpolated values for BOD5 and TSS effluent quality based on monthly averages that were reliably, i.e., 95 percent of time, achieved by a given percentage of POTWs in the sample. The data from the plant performance analyses indicate that half of the POTWs in the sample using lagoons and ponds processes achieved a BOD5 effluent quality of a least 25 mg/L and a TSS of at least 22 mg/L. The analysis does not support adjusting BOD5 and TSS effluent limitations across the board for lagoons and ponds in Maine. The analysis does support adjusting BOD5 and TSS effluent limitations on a case-by-case basis. No adjustments would be allowed where the adjusted effluent concentration would have an adverse effect on water quality, public health, or designated uses of receiving waters. The test for determining adverse effects on receiving waters must involve adequate modeling analyses. Effluent BOD5 and TSS concentrations for eligible facilities could range up to a maximum allowable value of 45 mg/L in a period of 30-day average. To account for variations in lagoon and pond performance within the range e.g., 30 to 45 mg/L, which may occur due to differences in design, wastewater characteristics, climate, seasonal and unique local factors, the task force proposes that the adjusted permit limitations for lagoons and ponds be set based on an individual facility's performance capability. The task force is recommending that a facility not be allowed to obtain effluent limitations that are any less stringent than the level of effluent quality that a facility is capable of achieving. But not withstanding water quality considerations, no facility would receive 30-day average limits of less than 30 mg/L. This will help to minimize additional pollutant loadings and help ensure that facilities continue to operate in accordance with their design capabilities. The facility must have been designed and operated properly to obtain adjusted effluent limitations. For facilities designed after 1980, the design should be based on accepted design standards such as TR-16 "Guides for the Design of Wastewater Treatment Works", 1980 Edition. In general for facultative stabilization ponds, 1) the organic loading of BOD5 may vary from 15 to 35 lbs. per acre per day, and 2) the pond should be designed to normally operate within overall depths of 3 feet minimum to 5 feet maximum. For partial mix aerated facultative ponds, 1) the detention time should be based on many variables such as waste strength, volume, temperature and nutrient balance and intended removal efficiencies. With normal biological reaction rates and removal requirements, the hydraulic detention time generally should be at least 20 to 30 days. An additional volume for sludge storage of approximately 10% should be provided and the volume occupied by ice should also be taken into account. The water depth should be 10 to 20 feet. The system should be capable of providing for normal oxygen requirements of 2 lbs 02 per lb of BOD5 applied with the capability of transferring 3 lbs 02 per lb of BOD5 for periodic high oxygen demand. The aeration and mixing system should be capable of maintaining a 2 mg/L dissolved oxygen level at any point in the basin. Proper operation means that the facility was operated as designed and described in its approved operation and maintenance (O&M) manual. In general, stabilization ponds should be operated at a minimum operating depth of 3 feet and a maximum of 5 feet and the organic loading should not exceed 35 lbs BOD5 per acre. A detention time of 90 to 120 days should be provided. For partial mix aerated ponds, the hydraulic detention time should be at least 20 days and the mechanical aeration equipment should provide 2 lbs 02 per lb of BOD5 applied. In addition, the number of cells on-line should be operated as provided by the design and described in the O&M manual. c) there are no extenuating circumstances such as overloading or industrial wastes. The task force recognizes that the performance of "equivalent treatment processes" may be affected by differences in temperature, and that such facilities may exhibit variation in performance depending on geographical, climatic or seasonal factors. For a given facility, there may be significant differences in performance from one period of the year to another. The task force suggests that DEP permit writers consider the development of seasonal permits that would reflect such differences in performance where the differences are significant. If a seasonal permit is developed, a specific time period, during which the different effluent limitations would apply, should be established during the permit revision process based on historical records for either mean monthly ambient air temperature or effluent wastewater temperature. The task force examined the appropriateness of the current BOD5 test for analyzing the effluent quality of lagoons and ponds. Where a treatment process provides full or partial oxidation of ammonia (nitrification), the BOD5 test will measure a combined effect of two types of BOD: carbonaceous biochemical oxygen demand (CBOD) and nitrogenous oxygen demand (NOD). An analysis of the lagoons and ponds in Maine showed that some systems provide full or partial nitrification, especially during warm weather months, while others do not. The data show that warm weather effluent CBOD5 concentrations typically range from 10 to more than 90 percent less than the measured BOD values. The effect of nitrifying bacteria exerting NOD in a test of an effluent sample will not necessarily bear any relationship to in-stream NOD effects; those effects will be governed by the presence or absence of nitrifying bacteria in the stream itself as well as stream conditions, such as depth, surface area for attachment, etc. Where in-stream nitrification is significant, water quality analyses should account for the effects of CBOD and NOD separately. For water quality limited segments and water quality based permits, it is appropriate that the effluent limitations provide for separate CBOD and NOD controls; in such cases., the use of a BOD5 test may be inappropriate. b) baseline influent and effluent ammonia, nitrite and nitrate data (same frequency and duration as the parallel CBOD5 and BOD5 data) have been provided. Prior to relicensing, the licensee and DEP should develop a procedure to determine whether nitrification is still occurring. The task force recognizes that nitrification is affected by differences in temperature, and that lagoons and ponds may exhibit variation in performance depending on seasonal factors. For a given facility, there may be significant differences in nitrification from one period of the year to another. The task force suggests that DEP permit writers develop seasonal CBOD permits for a specific time period, during which the CBOD effluent limitations would apply. The time period should be established during the permit revision process based on historical records or a default time period of April through November may be assigned.